This is going to be a very difficult blog post to write. It’s such a controversial and sensitive topic so I am warning you now! Not only that but, personally, this trip was emotionally-stirring as I saw a real life ‘encierro de toros’ (running of the bulls) and a ‘corrida de toros’ (bullfight). Pictures, videos, news articles, other testimonies, they just don’t convey all the emotions I felt when I saw what I saw with my own eyes: fear, sadness, horror, heart beating like crazy. It was an experience. And it will be impossible to forget. This is a sensitive topic. This post WILL include pictures/videos I took from it and some news articles related to the event which you can read if they interest you. Some of which may be difficult to look at as it does include some brutal violence of bullls attacking people and of course, people attacking bulls. If you feel uncomfortable with this topic, easily upset or just don’t want to see the content, please click off now and read something a bit more light-hearted. I should probably also say that I am personally against bullfighting. All this content is my own opinion and from my viewpoint. I did not pay any entry to see the bullfight because I didn’t want to support the industry (the running of the bulls was free to watch). We found cracks in the fence under the stands of the bullring and got a glimpse of the event from there. The Carnaval del toro in Ciudad Rodrigo is a well-known festival held every year in the region and it was extremely interesting to experience something of such cultural importance here in Castilla y León, the region where I am living this semester in Spain. It is easy for me to say I am against bullfighting, but I feel that since I have seen an example of it, I feel more educated in understanding how it works, the massive draw in popularity by the population and tourists alike to participate in such events, which feel very out of place and strange from my cultural background. 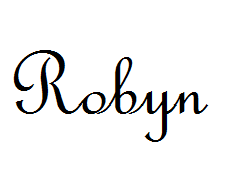 You are more than welcome to express your views in the comments section or you can tweet me @robynYA, I would love to hear your thoughts on this matter as everyone has their own opinion and different experiences and that is great! HOWEVER I won’t tolerate anything inappropriate or hateful in this blog. If your intention is to be mean, please go elsewhere. What is the ‘Carnaval del toro’? 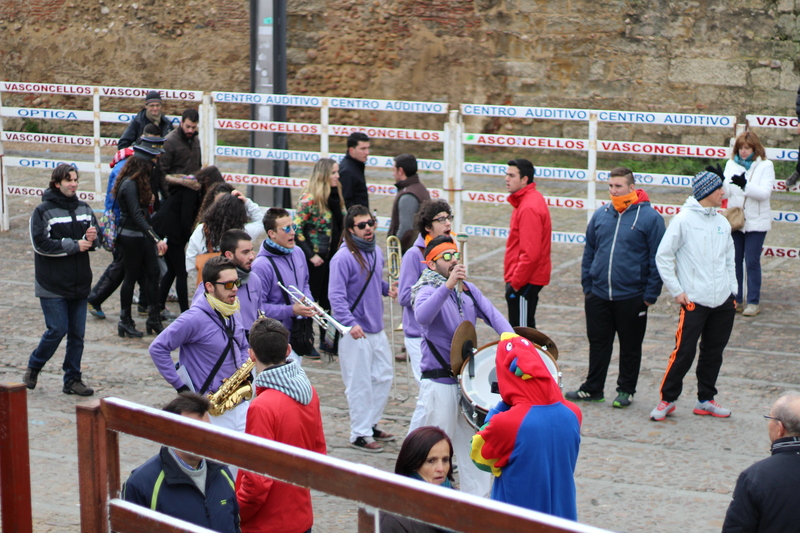 ‘El Carnaval del Toro’ in Ciudad Rodrigo is the most well-known festival in this region, held annually during February. The festival coincides with ‘Carnaval’ and begins on the “Viernes de Carnaval” and ends on the “Martes de Carnaval”. In 2015, it is Friday 13th February until Tuesday 17th February and I went to the festival on the Saturday. Yep, Saturday 14th February. This is how I spent my Valentine’s Day! Carnaval is held throughout many towns and cities throughout the world, the most famous being Carnaval in Rio, Brazil which attracts hundreds of thousands of tourists each year. However many towns and cities in Spain have their smaller equivalent; these include public parades, music, partying and disfraces (fancy dress). Ciudad Rodrigo is unique in that it is the only Carnaval in Spain which also holds an ‘encierro de toros’ and ‘corrida de toros’, which are the main features of the celebrations in this particular town. According to the festival’s website, there is a document dating back to 1493 which complains about the excessive expenditure of the Carnaval del Toro in Ciudad Rodrigo; this highlights that over the last 5 centuries, this particular Carnaval has built up a long a tradition of importance in this region annually for a long time and a lot of money goes into making it a reality. A lot of government and EU money that is nowadays. On the short walk up to find our spot, a man lying down on the ground in the grass, dressed up in a fireman’s outfit, out of nowhere thought it would be funny to grab hold of my left ankle. Why? I have no idea. The fireman-wannabe and his friends spoke Spanish to me, which my brain at that moment would not comprehend, so I just thought making a mix of strange noises and lots of nervous laughter would do the trick. After a few minutes of this strange experience, he decided this was a bit awkward and let me go with a pat on the back like I was being completely over-the-top, but I was so traumatised from this ordeal that I could not get myself off the floor to save my life (quite literally!). Still begging my friends to pick me up and save me from these strange, strange people, I managed to get away. A woman, after noticing I was speaking a foreign language and my lack of comprehension of the situation, pointed out to her friend ‘Ella es de la extranjera,’ (she’s foreign). Yeah, that’s great. GRACIAS. Well done for spotting the obvious. You could have helped me. This pretty much sums up the atmosphere here – everyone was partying, having fun, joking. It was so strange as bullfighting is something so violent and horrifying but everyone was so upbeat and excited about it. We managed to stand on a little hill behind the stands for the ‘encierro de toros.’ It gave us a good view for when the crowd and the bulls would soon enough come running around the corner. Starting from 30 minutes before the start of the ‘encierro,’ the church bells would ring for 30 seconds and would repeat every five minutes. The sound of the bell toll could not be more foreboding if it tried. The chime was a slow, deep sound that really made the situation feel so tense and serious amongst hundreds of people dressed up in fancy dress from Nutella pots to credit cards. The bells: It was telling the crowd, “yep, the bulls are gonna be here soon, so you might want to move your kids outside of the encierro, so they don’t die, gracias”. The final bell toll obviously signaled the release of the bulls and it was the worst sound imaginable. The ringing became frantic and everyone became tense and running to their spot. A few moments later, a huge sea of people piled through the pathway and the bulls had arrived. The first two bulls managed to get through the crowd straight away and there was no confrontation or injury. I think these bulls were less aggressive and were planted there on purpose to help the other macho bulls to follow. It was almost a sigh of relief. No drama. This eased the crowd in but the bells chimed frantically again and more bulls kept coming and that’s when the reality of the situation really kicked in. The macho bulls had arrived and they did not look too happy. These people, taunting the bull, getting in their path, it’s only going to go one way. These animals are strong and they have sharp horns that can gore and kill. For some participants of the running of the bulls, this became all too real and I saw it with my own eyes, it’s so difficult to watch. The next video is particularly distressing: (I have given a short written commentary underneath of what happens in the video, if you prefer not want to watch). In the video, a man is violently rammed against a wall by a bull who continues to hurt him whilst he is in a ball. Another man only a few seconds after him, is in a ball riding in the horns of another bull after receiving multiple wounds out of of the camera’s view. It just doesn’t seem real. It’s surreal seeing something so violent and so brutal and see it from only a few meters away. And yet this is considered ‘entertainment.’ The crowd shouts, cheers, boos but continues to stand there, whilst this man crawls to safety behind the fence for his life and the Cruz roja (Red Cross) come straight to his assistance, as they have been waiting for this to happen. As he is flung to get aid, the crowd quickly moves on from this serious injury and turns their head to look to the bulls to see what exciting confrontation may happen next. After the encierro, the crowd thins out to the bars and cafes in the town for a break and lunch to prepare to watch the bullfight in the Plaza Mayor at 4pm, and then later parties the night away with dance, costume parades and song whilst the injured are transported back to hospital in Salamanca for emergency treatment and a long night ahead, but their night will not include song and dance. In summary of the news article which is in Spanish: the most critically injured person was an American student, aged 20 (my age) and the horn of the bull has left holes in his body of 40cm and 30cm, the biggest ever seen by the surgeon treating him apparently. A Spanish man, aged 31 also was critically injured from a bull’s horn in his inner high and ankle. The third victim was a Scottish man who was overturned by the bull and is suffering now from a head trauma. A bullfight is a bullfight. There was a lot of blood (the bull’s that is, not the toreros) and the bulls did die. The bullfight was in terceros – it was in three parts, one bull for each. We only stayed for the first two, and after that we needed to get some air. No pictures of the dying bulls with blood all over them – I’m partly glad I don’t have any, as I don’t want to see it ever again. What I found unfair is that we noticed that the bulls’ horns were blunt – they had already been cut/sawed for the corrida so they were not sharp. This meant they could not do as much damage as they are normally capable of, and this gave the toredores in the ring an advantage, that’s if the bulls were ever able to get a shot at them. Also, one bull to ten people is an unfair advantage and the bull is definitely going to lose. The impressions were: the bulls just did not want to be there. They did not want to be in the ring, being stabbed with picas (a special lance to stab the bull) by the picador and shouted at and stared by a thousand or so spectators. After running around for a good while and being hurt by the picas which were drawing a lot of blood, the bulls seemed to realise that there was no way they were getting out of this place alive and would lie on the ground after a good ten minutes and accept their defeat. 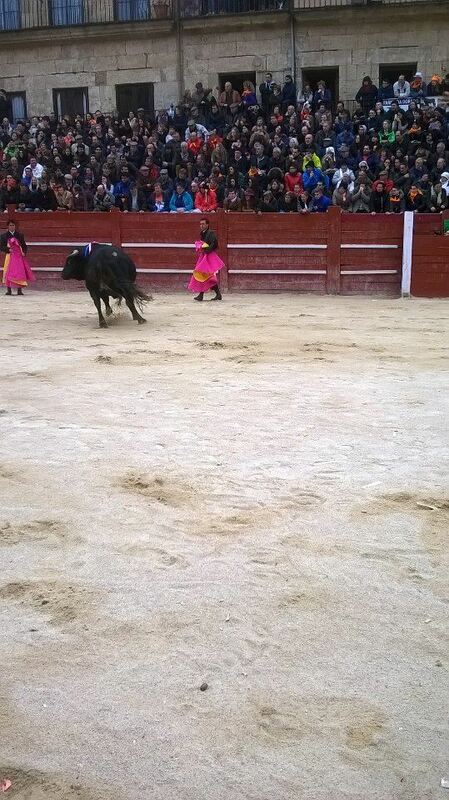 The crowd would applause the bull’s defeat and the matador (the toredor who has the job of killing the bull. Matar = to kill, in Spanish) walked up to it and stabbed it a few times for good measure until it would eventually die. This is such a slow, painful death for the bull and without honour, as they are watched by many entertained eyes. After the ordeal was over, two horses came in with ropes that were to be attached to the bull’s horns so they could drag him out of the arena. A very sad end. Before the second bull was to be brought in there was a quick interlude. Many parents thought this would be an excellent opportunity to jump down from the stands, into the arena with their young children, so that they could get a nice picture for the mantelpiece of their child with the matador, very man who killed the bull in 2015 (!!! Wow what an honour). The bullfighters are treated like celebrities as they bow, thanking the crowd for their support. An interesting observation we made, was that as we were looking at the crowd from our small crack under the stands, the majority of the crowd appeared to be of the older generation and at least 55+ with a few young children or grandchildren in the mix. It gave the impression that bullfighting is still popular in Spain, but that it appeals more to the older generation and could be dying out. The majority of the children we saw were very distressed by the event and would repeatedly look away during the encierro, bawling with tears. The younger generations were either outside the arena, peering in through any gap they could find. However, it was mostly young men who participated in the running of the bulls, which is exciting, requires physical activity and makes them look super cool and manly to be brave enough to get that close to a dangerous animal. Personally, I don’t know how in this day and age, this is allowed to happen. We have many other forms of distractions nowadays: the internet, TV, shopping, restaurants, etc. I am not sure whether this form of entertainment still has a place in our ‘civilised society.’ Upholding tradition and culture is important in society and to a certain extent, bullfighting has a long tradition in Spain that some wish to conserve; however is ‘the art’ of bullfighting worth saving? ‘Art’ is meant to be emotionally-powerful which this evokes without question, however it must also have beauty, but all I see is death. Catalonia is the first and only region in Spain to ban bullfighting (Since July 2010). “Tortura ni es art, ni es cultura! [Torture is neither art nor culture]” was the slogan of the animal rights initiative Prou. (www.prou.cat). 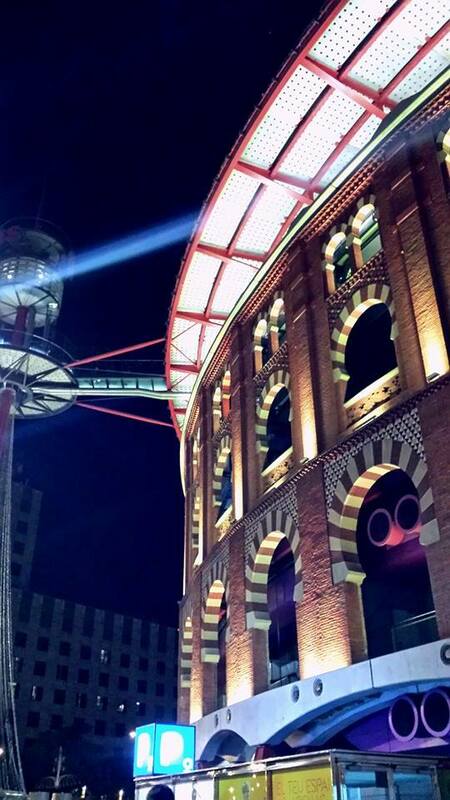 Las Arenas, a bullring in Barcelona’s Plaça d’Espanya (which I visited during my trip to Barcelona in November 2014! )was converted into a shopping centre in 2011, complete with a cinema and restaurants and a rooftop terrace with a great view over the city! I thought it was a great form of sustainable development, instead of demolishing the building. Siempre me han aburrido y repugnado las corridas de toros. I have always found bullfighting boring and revolting. Toro: a Bull. Fighting bulls are selected with a certain combination of aggression, energy, strength, stamina and intelligence in mind. The horns are longer than in other breeds and are also present in both males and females. Mature bulls weigh from 500 to 700 kg. Encierro: Consists of a running of the bulls through the streets. Runners run down fenced lined streets in front of a small heard of toros, novillos or vaquillas on their way to the plaza where they will await the afternoon´s bullfight in the stalls. Matador: literally translated as “bull killer,” this is the professional level of a bullfighter. Picadores: Bullfighters, mounted on horseback with picas (lances). During the first stage of the bullfight the picador enters the arena on horseback armed with a pica. The horse is protected from the bull by a petro, a protective mattress-like covering. Banderillas: Translated literally as “little flags” which are harpoon-pointed colorful sticks that are jabbed into the bull’s back. Estocada: a quick sword thrust between the bull’s shoulder blades and through the heart. This movement is intended to result in a quick and clean death. Indultado: A few times a year a bull will be indultado, or ‘pardoned’, meaning his life is spared due to ‘outstanding’ behavior in the bullring. The audience petitions its pardon by waving white handkerchiefs. If pardoned, the bull is returned to the field where he will live up to 20 to 25 years and be used as a stud. Traje de luces: custom-made matador costume embroidered with silver or golden thread inspired by 18th century Andalusian clothing. What are your thoughts on bullfighting? Are you for/against/undecided? Would you ever go to a bullfight? Have you ever been to one? Do you think bullfighting has a future in Spain? Bull fighting is an odd thing that’s for sure. Shaving the horns makes them less deadly but more importantly it confuses the bull. As far as the bull is concerned the horns are still 12 inches long when in fact they are only nine. He is disorientated and is unable to make a full strike. This protects the matador against injury! That’s a very interesting remark, thanks for sharing. It gives the bull an unfair disadvantage in the ring, that’s for sure.